I made it in SketchUp using online photo references and specs. 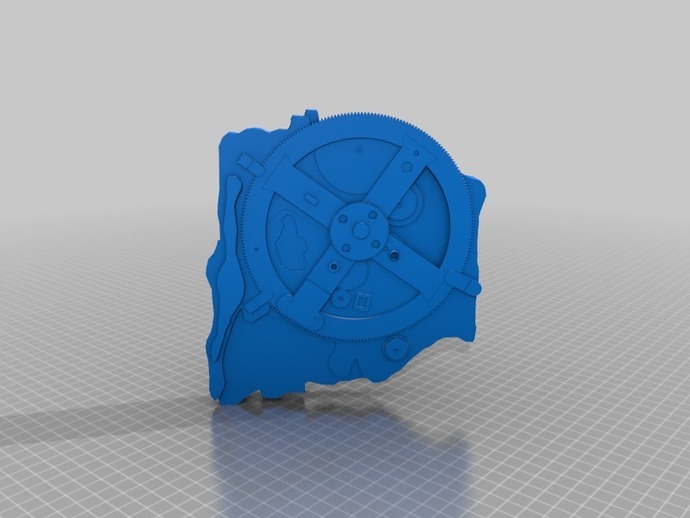 I sized a couple of the larger gears according to dimensions from the device’s Wikipedia entry, and put the right number of teeth on them too. All the rest is very loose tracing over imported images. 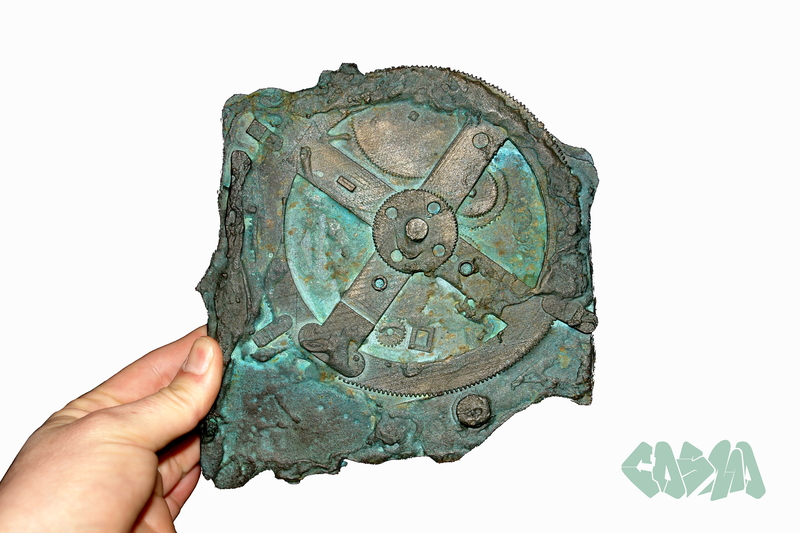 I used this more as a canvas than as a finished object, to experiment with adding textures post-print, and bronzing PLA and adding reactive patinas. I cut it into pieces sized for printing on a Replicator1; they’re the “1,2,3,4” files. I split the front and back so I could offset them by hand to add some variation. I’ve included the complete object too. I printed mine in PLA, hollow, with 4 walls, and fat layer heights, and glued the pieces together. If I make another, I think I’ll fill it with steel shot to give it some weight.